Model Integration help their clients model large and complex systems using Executable UML by itself, or integrated with other tools, modeling languages, libraries and software services. Model based systems engineering (MBSE) should deliver clear and compelling results, not just in the long term, but on a daily basis. The important ideas should be communicated, documented and validated. Hard problems should be identified and solved early on. Valuable intellectual property should be preserved for fast redeployment on varied and evolving computing platforms. 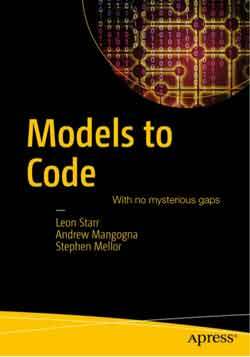 And the models should lead directly to efficient, reliable and maintainable production code. But this is all easier said than done. It is easy for teams to get distracted modeling the wrong things at inconsistent levels of detail. Models can be built in the wrong order, leading to unnecessary rework or poor designs. Opportunities for parallel development can be missed, wasting valuable time and resources. Key model reuse patterns can be overlooked resulting on large scale wasted effort and needless extra code. We won't let that happen to you. Model Integration expert training and consulting services will give your systems engineers, developers and project leaders the skills, patterns and techniques necessary to ensure success on your MBSE project.